If you've been meaning to take up a new sport but can't deal with getting out of breath and sweaty, the genteel yet strategic challenges of croquet might suit you. This summer Croquet East - self proclaimed "London's most stylish croquet club" - returns to Victoria Park for monthly Saturday afternoon sessions. Taking part is free, but there is a suggested £3 donation, which covers equipment costs. We've never purchased a croquet mallet ourselves, but we imagine they're not cheap. All ages and levels of play are welcome and mallets, balls and hoops are provided. 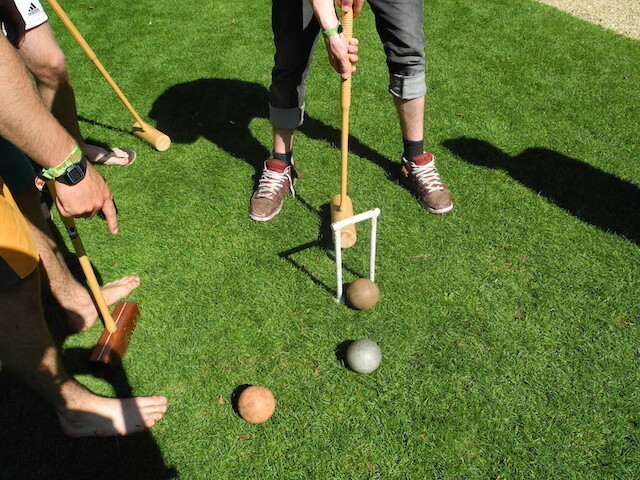 Croquet East coaches will help you perfect your game play and you're welcome to bring your own Pimms and cucumber sandwiches for refreshment. Don't forget to RSVP via Facebook if you're going to pop along for a session. From time to time there will be short notice pop-up sessions too so keep your eyes on their Facebook group or Twitter for updates.